Yes, I have looked at a brick wall while on a platform, hoping to find someone walking through it. Not now, when I’m 21, but many years ago. I have spied on the wall I thought could be the doorway to platform 9 ¾ ! I’m sure many, who have read the Harry Potter series must have done the same. One of my first series was the Harry Potter series. A voracious reader back then (I don’t remember the last time I held and read through completely, a paperback now), my Father gave me Harry Potter and the Philosopher’s Stone. A book in itself is used to transport oneself into another world. But this one? 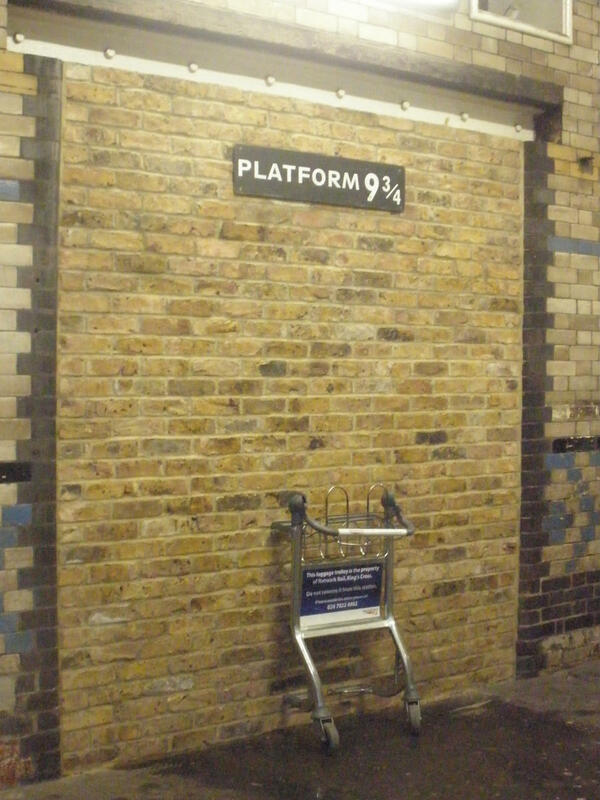 The wall between platforms 9 and 10 transported you from one place in the other world into a farther place still! And a magical one, nonetheless! What more could a child ask for? But times have changed. The carelessness of childhood is long gone. The reality is stark and right in my face now. No innocent belief in a far off magical land anymore. Not to sound too depressing, but the truth is the truth! When was the last time you were stress free? When was the last time you allowed yourself to be transported into another world? Even if you did so yesterday, returning to reality is no longer as pleasant as it once used to be! A child has no qualms with life, no greed to fulfill. That child is happy with a toy you present to him, a book you hand over to him. He allows it to do its duty. He allows himself to be made happy and entertained. But we? We seek more. As we grow older, we rebel more. Have you ever wondered why a child is less exhausted after a long journey? It’s because he let himself sway to the tunes of the winding road. But we? We fight against it because we want everything to dance to our tunes! And there comes our own, self-established, sense of sadness, the lack of a magical world, the extremely hurtful reality. I want to look at the platform’s brick wall with magical wonder again. I really do. When will I want to go back to the time when walking through a brick wall was not an insane thought? When will I go back to the time when walking through a brick wall will take me to a land far beyond?